Distribution: Western Australia; northern and central sandplain regions from the Murchison River area and south-easterly. petrophiloides...resembling the genus Petrophile (in foliage). Grevillea petrophiloides is an erect, open shrub to 3 metres high with most flowers held erect on floral stems above the foliage but some flowering also occurs within the outer foliage. The flower racemes are up to 8 cm long and the flower colour ranges from mid tio deep pink. Flowering usually occurs in winter and spring. The foliage is dark green, finely divided and held quite erect. Previously G. petrophiloides was considered to comprise three subspecies (subsp. petrophiloides, subsp.magnifica and subsp.oligomera). However, the latter two subspecies have been given specific rank (see G.magnifica and G.oligomera). This is a very ornamental species which occurs in sandy and rocky areas in quite specific soil types. It has proven difficult to maintain in cultivation. It appears to resent humid conditions and poor drainage but is very hardy when established in suitable conditions. Some success has been achieved in unsuitable growing areas through grafting. Propagation may be carried out from seed and germination is improved if the seed is carefully "nicked" with a sharp knife to expose the embryo. Cuttings are also successful using firm, current season's growth. 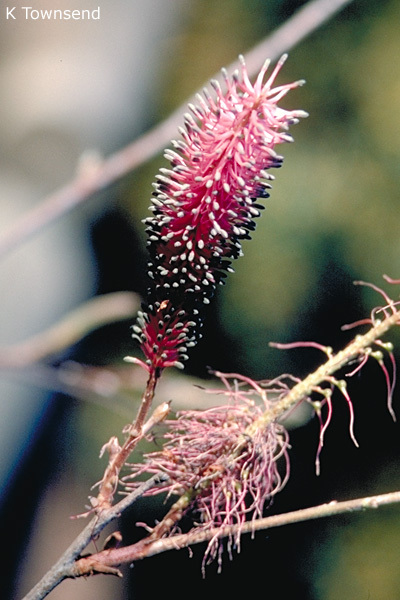 The species has been successfully grafted using Grevillea "Poorinda Royal Mantle" as rootstock.